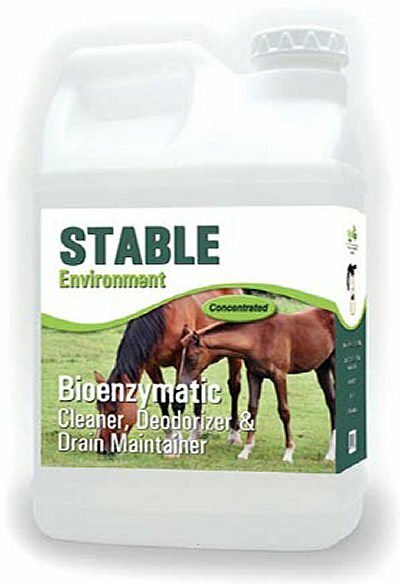 A 2.5 gallon EZ Store Bottle of STABLE ENVIRONMENT by ProVetLogic is a high performance, bacterial-enriched multi-surface cleaner, odor eliminator, organic waste degrader and drain maintainer. 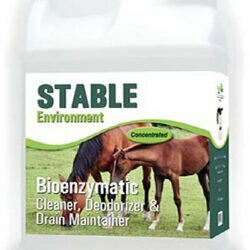 For Medium Duty Cleaning: Dilute 3 to 4 ounces of product per gallon of water, apply to surface, allow to dwell for 3 to 5 minutes and agitate if needed. Rinse thoroughly with clean water. 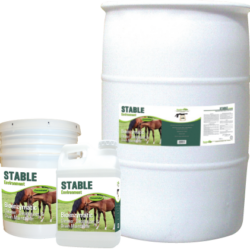 For Heavy Duty Cleaning: Dilute 6 to 8 ounces of product per gallon of water, apply to surface, allow to dwell for 3 to 5 minutes and agitate if needed. Rinse thoroughly with clean water.